When we could only buy paper books, CDs, and DVDs, it was easy to share our collections with the rest of the family. Now that we are moving toward digital collection, ownership becomes a little trickier. Fortunately, you can set up family sharing for most of the big services these days. Here are a few of the more popular sharing libraries and how you set them up. Apple lets you set up Family Sharing through iCloud. If you're on a Mac, iPhone, or iPad, you can set up a family account in iTunes and share content with family members. You'll need to designate one adult with a verified credit card and an Apple ID to manage the family account. You can only belong to one family group at a time. You'll then be able to follow the instructions and send out invitations to other family members. Each person needs their own Apple ID. Once you've created a family group, you have the option of using it to share most of your content in other Apple apps. You can share most purchased or family-created content from Apple this way, so books from iBooks, movies, music, and TV shows from iTunes, and so on. Apple even lets you share your location through family groups. Sharing works slightly differently with iPhoto, where you can share individual albums with larger groups of friends and family, but you can't share full access to your entire library. The adult who owns the account keeps the content when family members leave, either by divorce and separation or by growing up and creating family accounts of their own. Netflix manages sharing by letting you create viewing profiles. This is a brilliant move for several reasons. First, you can restrict your children to content made for kids, and secondly because the Netflix suggestion engine can better tailor suggestions to you alone. Otherwise, your recommended videos can seem random. When you log into Netflix, you should see your name and an icon for your avatar on the upper right side. If you click on your avatar, you can select Manage Profiles. From here you can create new profiles. Create one for every family member and give them distinct avatar pictures. You can specify the age level for media on each profile. Levels include all maturity levels, teens and below, older kids and below, and little kids only. If you check the box next to Kid? only movies and TV rated for viewers 12 and younger will be shown (older kids and below). Once you have profiles set up, you will see a choice of profiles every time you log into Netflix. You could also set up a profile reserved for guests so that their movie choices don't interfere with your recommended videos. Netflix content is rented, not owned, so there's no question of digital property transfer. The account owner can just change their Netflix password and delete a profile. The history and recommended videos will disappear with the account. Amazon's Family Library allows two adults and up to four children to share any digital content purchased from Amazon, including books, apps, videos, music, and audiobooks. Furthermore, the two adults can share the same Amazon Prime shopping benefits. All users log in through separate accounts on their devices, and children will only see the content they're authorized to view. Parents concerned about screen time can also specify when children see content on some Kindle devices, through Amazon's free time settings. Scroll to the bottom of the Amazon screen and select Manage Your Content and Devices. Under Households and Family Library, select either Invite an Adult or Add a Child as appropriate. Adults need to be present to be added - their password is required. Each child will get an avatar so you can easily tell what content is in their Family Library. Once you have a library set up, you can use the Your Content tab to put items in the Family Library of each child. (Adults see all shared content by default.) You can add items individually, but this is less efficient. Use the checkbox on the left side to select multiple items and add them to a child's library in bulk. The Your Devices tab allows you to manage the Kindle portion of any phones, tablets, Fire sticks, or other devices running the Kindle app. The two adult owners can leave at any time. They each take possession of the content they purchased through their own profile. Google Play lets you make a Family Library to share books, movies, and music you purchase through the Google Play Store with up to six members of a family group. Each user will need to have to have their own Gmail account, so this is an option that only works for users who are age 13 and older. Log into Google Play from your desktop. Because family groups in Google are at least teenagers, you can choose to either add all purchases to the library by default or add them individually. 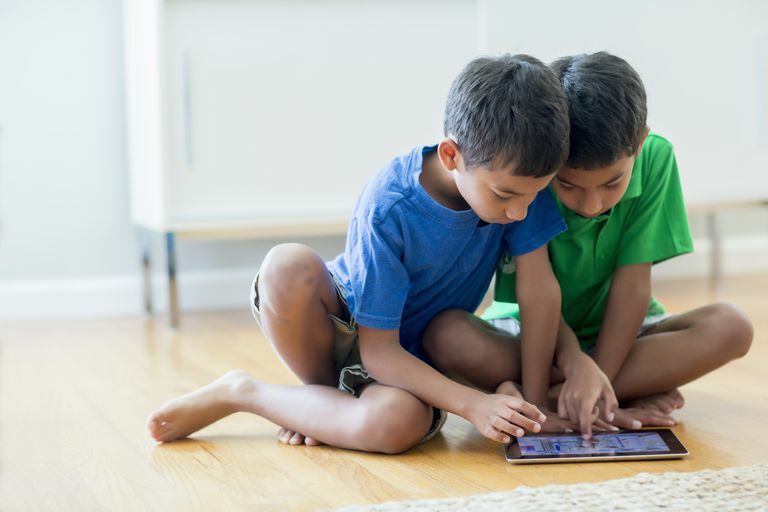 You can control access to content on individual Android devices by creating child profiles and adding parental controls to the content rather than by centrally managing it through the Google Play Family Library. The individual who set up the Family Library retains all the content and manages membership. He or she can remove members at any time. Removed members then lose access to any shared content. You can share Steam content with up to five users (from up to 10 computers) on Steam. Not all content is eligible for sharing. You can also create a restricted Family View so that you only expose the games you want to share with children. Make sure you have Steam Guard on. Scroll down to Family Settings. You'll be walked through the process of setting up a PIN number and profiles. Once you have your family set up, you'll need to authorize each Steam client individually. You can turn Family View on or off using your PIN number. For the most part, Steam Family Libraries should be set up by one adult and players should be children. The content is owned by the account manager and vanishes when members leave.